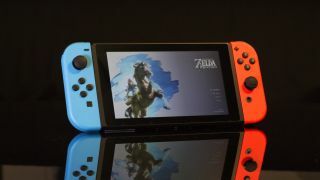 Not long after its March launch last year, it was revealed that a GPU exploit in the Nintendo Switch could be used to run unofficial software, like pirated games and homebrew ROMs. Since then, the Switch's hacking community has grown, and the discovery of a new 'unpatchable' exploit last month has only made the console more attractive to pirates and homebrew fans. Nintendo isn't taking the assault on its walled garden lightly, however, and is taking steps to crack down and dissuade users from taking advantage of the security holes. The Japanese company has begun banning hacked consoles from its online services, sending error notifications when users attempt to log in. According to the message, “The use of online services on this console is currently restricted by Nintendo,” and users will need to “Contact Customer Support via the Nintendo Support Website”. The incident was first reported by Switch enthusiast Shiny Quagsire, who said the error message popped up on an unhacked switch, meaning Nintendo has applied the ban to a Nintendo user account, which could affect multiple Switch consoles if the user owns more than one. The ban restricts users to playing games on their console only with most online services disabled, though it appears news updates are still coming through. Access to the eShop, playing online games and interacting with the Switch community are all blocked, however. Banned consoles can still receive and download software updates. Shiny Quagsire has since contacted Nintendo to have the ban removed, but his request was denied. The moral of the story? If you're a Switch fan and don't want to ruin your Pokémon or Zelda experience, it'd be best not to mess with your console.